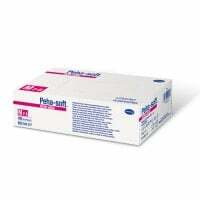 With us, you will find a large selection of exam gloves for use in all branches of healthcare. 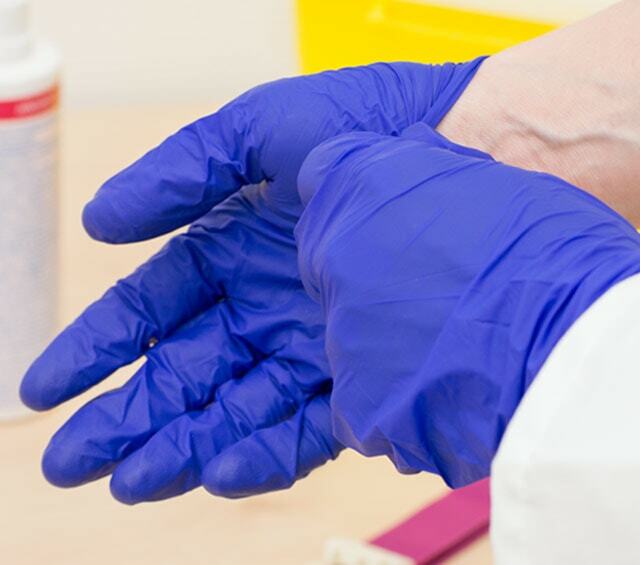 Whether you need nitrile gloves, latex gloves or protective gloves, sterile or non-sterile, you will find the proper disposable gloves for every application, here. 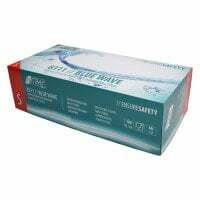 Examination gloves are among the most important consumables in all medical disciplines and are worn for prevention of infectious transmission and cross-contamination. 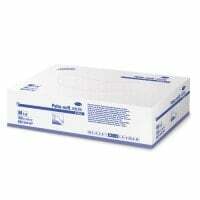 Exam gloves equally protect the examiner and the patient, as direct skin to skin contact is completely avoided. 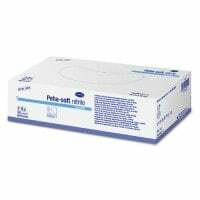 As a rule, disposable medical gloves are powder-free and non-sterile, simply because general exams and treatments do not often have need of sterile protective clothing. 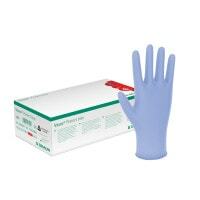 Examination gloves are most often made of latex, natural rubber or vinyl, and sometimes copolymers. In order to ensure high wearer comfort, the exam gloves should provide a good fit. That means that they should be in accordance with the anatomy of the hand and offer ample freedom of movement without being too loose. 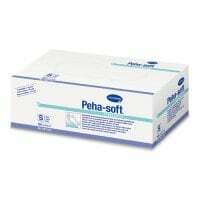 The elasticity of the material improves the putting on and taking off of the disposable gloves, while preventing tearing. Today's modern materials are highly elastic, despite being thinner. Exam gloves should always maintain balance between touch sensitivity and security. The thinner the material is, the better the touch sensitivity of the wearer, but also the higher the possibility is that the material will tear or become porous. 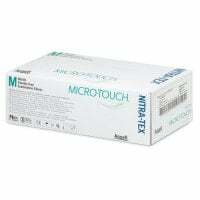 Therefore, medical gloves are put through strict tests and are allowed to have a maximum AQL of 1.5. 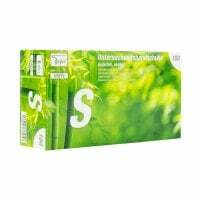 This ensures that the material remains thick and tear-resistant under strain and has enough security for the user. 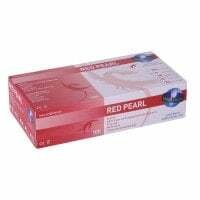 In the category Examination Gloves, we offer you a large selection of high-quality, non-sterile disposable gloves for use throughout all medical disciplines. 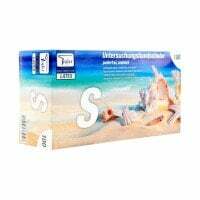 Whether you need powder-free latex gloves, nitrile gloves for users with latex allergies or gloves with a moisturising inner coating, you will find an enormous selection of various disposable gloves for every need at Praxisdienst. 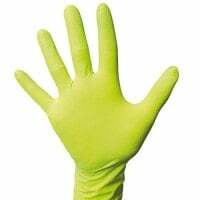 From us, you can purchase protective gloves for safe handling of cleaners and disinfectants, or surgical gloves and exam gloves at affordable prices!